ISRAEL - JUST THE FACTS: This Black South African's Reaction To Apartheid Israel Claims Is PERFECT! This Black South African's Reaction To Apartheid Israel Claims Is PERFECT! If I had a dollar every time a pro-Palestinian activist called Israel an Apartheid regime I would be a very wealthy man. 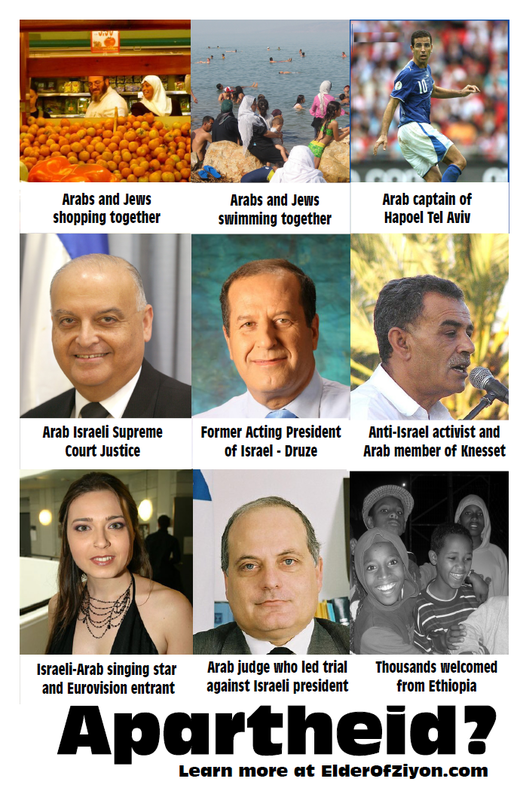 The fact that 20% of Israel's citizens are Arabs and that Israel has more Arab teachers, lawyers, doctors and Supreme Court judges than there are Jews in all Arab countries COMBINED should be enough to debunk the apartheid lie! Perhaps the 3 Arab political parties in Israel or the fact that the speaker of the Parliament is an Arab should do the job. How about the fact that Miss Israel, who is Arab, or the highest ranking general in the IDF being a Muslim Arab? Still not convinced?! Take a good look at the pictures below. On the right is the reality in Israel, on the left is the reality Abu Mazen wants to see. While Israeli Arabs walk freely through the streets of Jewish neighborhoods, a Jew who walks through a dominantly Muslim neighborhood will be met with stones and Molotov cocktail bottles and in this case rocks packed in snowballs. This is not Europe 1942, it's Jerusalem last year! Maybe this black South African man who was born and lived under a REAL Apartheid in South Africa can explain just how offensive the Israel Apartheid claim is. 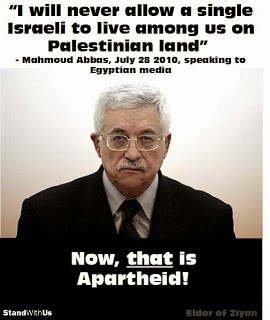 He is not offended for Israel, he is offended as a victim of a real Apartheid State and says the Israel Apartheid claim betrays the memory of those who suffered through a real Apartheid in South Africa. Listen to this victim of a real apartheid explain just how ridiculous it is to call Israel apartheid! Kenneth Meshoe is a member of the South African Parliament!